Home › Info Central › Top 5 Reasons You Should Not Click on Links sent via E-mail! Top 5 Reasons You Should Not Click on Links sent via E-mail! Yes, it has been talked about and, written about and, the conversation is dead. Not quite. People are still clicking on links sent in e-mails and, that means what has been written has not reached all the people and, there is room for one more article…. 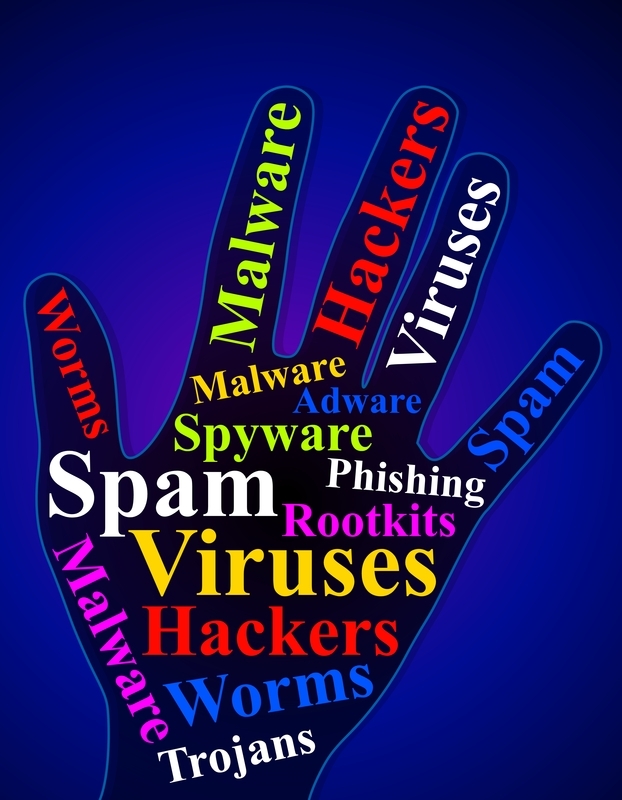 The first reason you should not click on links sent via e-mails is that they contain viruses. Regardless, of how reliable the senders maybe, if you are not expecting the link, do not click on it. Your senders account may have been hacked, compromised or infected with a virus without them being aware of it. The second reason is a tailbone of the first; the link may take you to a website that’s infected with a Trojan, and, your computer maybe compromised. The website would become a portal for the hacker to enter your computer and, access your passwords, security details etc. Some e-mails come from seemingly legitimate companies. I get a lot of e-mails from “Pay Pal” telling me I need to change my password. The ‘from’ address looks legit, and yet, it’s not. If you click on the link you will be giving someone with nefarious purposes, access to your pay pal account…you really don’t want to do that. It’s called phishing in computer lingo and, basically wants access to your account. Never open dating, sexual, medicine related links no matter how legitimate they seem. If they offer 10% off and, you really need that Viagra pill, search 10% 0ff Viagra and, if it’s legit, you will get the same offer. Never click on a link telling you that you have won a lottery or you have been left millions by a long lost relative. Never open an e-mail link sent by someone in distress. The phone is still an icon of communication…you will not get millions in an e-mail. If you are online, and checking e-mails be alert for scams and, malicious e-mails. This is the latest form of Internet Crime. The bottom line is, if in doubt, do not open the e-mail or click on the link. Pick up the phone and, call. « Trojans – What Trojans are, and how to protect against them.